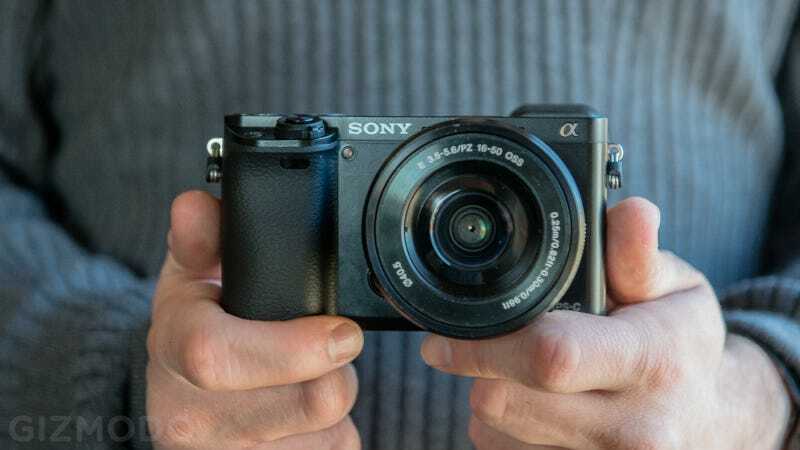 Sony A6000, the latest in the company's line of excellent sub-$1000 interchangeable-lens compacts, follows the same pattern we saw with the A5000 announced last month: Upgraded specs all around, on a slightly more advanced shooter. It's formulaic, maybe, but that's not a bad thing when you're talking about these little cameras. This time around, we're looking at Sony's replacement for the awesome NEX-6, and as with the A5000, we're seeing the company slowly but surely abandon the NEX branding. The E-mount camera has a 24.3-megapixel APS-C image sensor and the new Bionz X processing engine. The latter has been trickling its way into every new Sony introduction since last fall, the former has 25 contrast detect focus points and 179 phase detect points. Combined, the processor and sensor give the camera the fastest AF in the world—faster than the just announced Fujifilm X-T1, according to Sony. The camera also sports and impressive drive system that tops out at clip of 11 fps. The rapid fire shutter is a great way to blow off steam. Some other now-standard Sony features to round out all that upgraded goodness: The A6000 shoots 1920 x 1080 AVCHD video at 60p/60i/24p/24i frame rates. The old Wi-Fi capabilities are now topped off with easy NFC pairing to compatible devices. So far it all sounds great. Here's the sore spot. The A6000 sports a 1.44 million dot OLED viewfinder, which is much lower resolution than the 2.3 million dot EVF on the NEX 6. This is a huge bummer. One of the reasons we've recently been writing off cheap DSLRs recently is because a lot of new mirrorless cameras from the likes of Olympus and Sony have viewfinders that are so good that the optical viewfinders on their big brothers seem like a petty excess. Scaling back the resolution of the EVF might be good for cutting costs and saving battery life, but it's a step back when it comes to making a compact that's competitive with DSLRs. The tilting 921,000-dot rear LCD remains unchanged. Overall, the A6000 is a much more powerful camera with better image quality than its predecessor, which sadly, has some scaled back viewfinder hardware. Luckily, it's getting a scaled back price too: $800 coupled with the super compact 16-50mm power zoom lens.